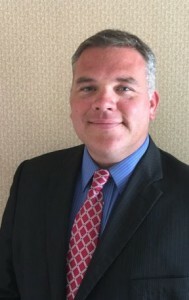 Robert M. Kennedy III, began his career in 1997 working in the family commercial real estate business. Growing up in the burgeoning markets between the Hudson Valley and Northern New Jersey, Robert internalized the values of honesty, integrity, loyalty and hard work bestowed on him by grandfather Robert M. Kennedy and father R. Michael Kennedy. Robert learned the business from the bottom up via hands-on involvement with property maintenance and all the less-than-glamorous tasks that comprise the day-to-day routines of effective management. This method of experiential learning imbued Robert with a detailed, first-person understanding of all the internal workings of the business. After the passing of his grandfather, Robert began to pursue the knowledge and experience he knew he’d need if he was to assume responsibility for the management and perpetuation of this third-generation family business. Under the tutelage of his father he was groomed to eventually take control over the operations of the Kennedy Companies, Inc. 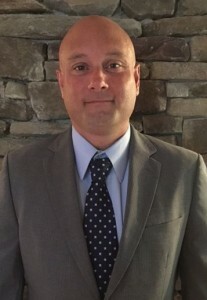 In 2002 after completing numerous years as a property manager and achieving mastery over the challenges of commercial property management, Robert earned the position of Vice President. By 2013 upon his father’s retirement, Robert assumed control of the business as president of Kennedy Companies, Inc.
Mr. Kennedy holds a BA in Political Science from Pace University. Ron Charlton is responsible for the day to day management of operations for Kennedy & Charlton, as well as for all financial reporting. This includes cash management, budgeting, coordinating external lender reporting, collections and financial statement monitoring for all Kennedy and Charlton, LLC managed entities on a monthly, quarterly and annual basis. In addition, Ron works closely with vendors on maintenance and development projects, keeping all projects on track and within specified budgetary constraints. Ron brings decades of finance, insurance, and accounting experience to his role. Mr. Charlton holds a BS in Accounting from Plattsburgh, State University of New York.